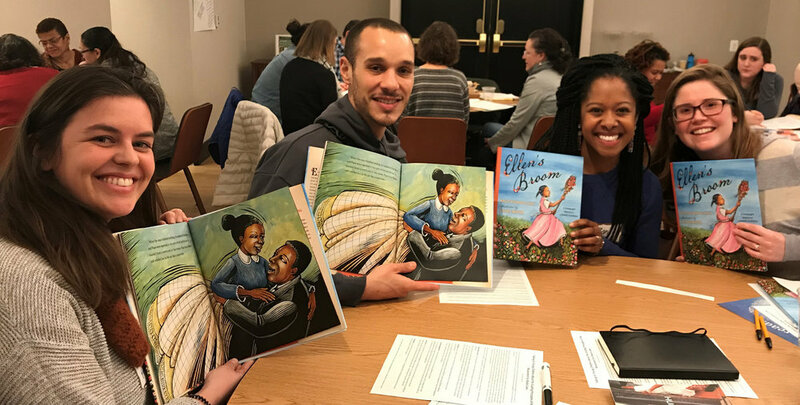 We hosted two sessions for D.C. area early childhood teachers in January to prepare for the 2019 Black Lives Matter at School Week of Action. Originally scheduled for the National Museum of African American History and Culture (NMAAHC), the Eaton Hotel kindly served as our back up due to the government shutdown. 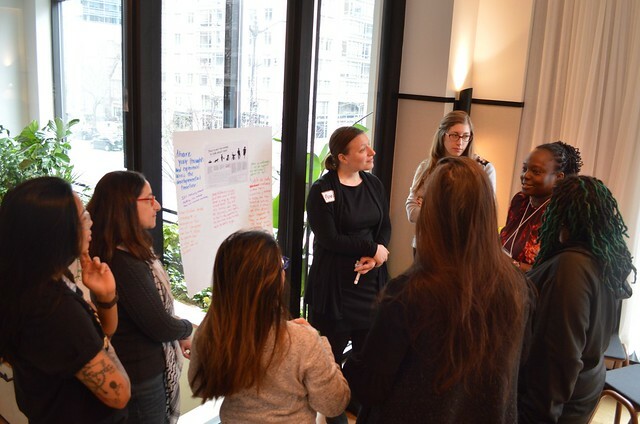 Thirty teachers participated on January 12 and sixty on January 26 to discuss how to address issues of race, representation, and history in developmentally appropriate ways. The sessions were co-hosted by Project Unlearn. The structure of the session allowed time for teachers to learn from and with each other. What messages/information promote positive racial identity for young children? When do you teach the historical context of race and racism to young children? How do you teach the historical context of race and racism in age appropriate ways? How do you promote positive views of Black families? What questions have you heard young children ask about racial identity or racism? How do you talk about the need for anti-racist education with school staff and/or families who believe children should be taught not to see color or don’t believe this is a topic for children? What do you do to foster positive racial identities in Black children? Using “They’re Not Too Young to Talk About Race,” share your thoughts and experience across the developmental timeline. To apply these insights to the classroom, educators selected a children’s book from a wide selection to discuss in a small group. In the January 26 session, they were asked to consider how to use the book to highlight one or more of the 13 Black Lives Matter Guiding principles. 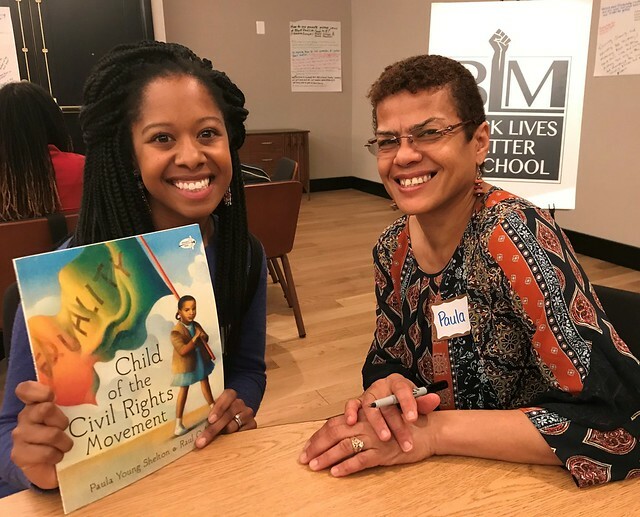 As a reference, each table received the document How to talk to young children about the Black Lives Matter Guiding Principles by Laleña Garcia. 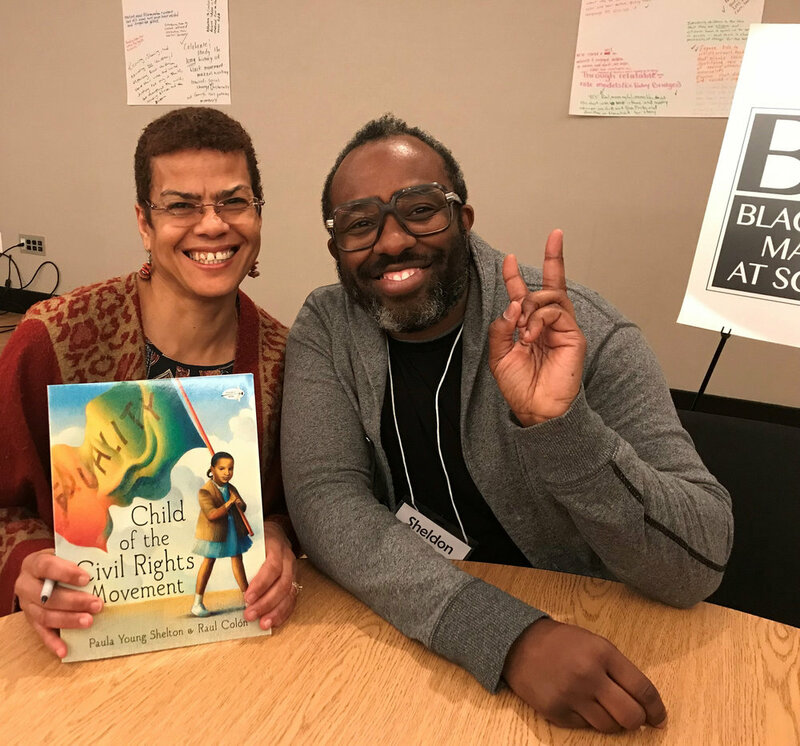 We featured special guest mini-presentations on January 26 by early childhood teacher Makai Kellogg and early childhood teacher/author Paula Young Shelton. They shared ideas for connecting children’s books to the 13 Principles. Read more about the event overall and the book talks in a blog by Makai Kellogg. AMAZING resources and ideas about how to engage children in rich and authentic conversations about race, diversity, and inclusion. It’s never too early to talk to kids, even the little ones, about race and be very explicit about that. Got great ideas for more nuanced and complex focus / explorations on race and racism (and history) in early childhood classrooms. Loved exposure to such a wide range of books — loved the opportunity to try a lesson plan in the moment. I enjoyed connecting with other educators. I LOVED exposure to tons of new-to-me books. The venue was amazing! New resources — children’s literature, ideas, organizations, and a network of like-minded educators. The depth of wisdom and discussion were inspiring, so thoughtful. I am grateful for the 13 Guiding Principles! I LOVED the gallery walk conversations. We had a great conversation about Ellen’s Broom. Connections to other like-minded teachers! Resources to use. New ideas in classrooms. Reading ideas / thoughts of others in gallery walk. There is a lot of tension about how to talk about these issues with young children and strong conviction that these conversations must be had. Picture books are a real asset to these conversations. I appreciated the small group time. Also, all the literature; it was nice to see the books and not just a book list. Loved that you brought in Paula Shelton! The icebreaker and museum walk formats were fantastic at getting the group to dive in the topic. Thank you for organizing! And thank you for providing books! I love children’s books; this is such a meaningful gift / tool! Thanks to NMAAHC and donations from publishers, the following titles were distributed to participants. On January 12, everyone received a copy of Paula Young Shelton’s Child of the Civil Rights Movement and Milo’s Museum. On January 26, everyone received a copy of Child of the Civil Rights Movement and one of the other titles. Browse photos and video from the events.